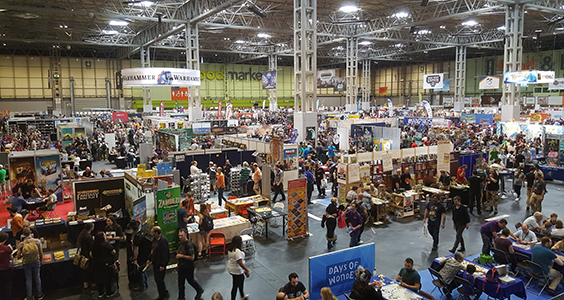 Anyway, on to the convention: UK Games Expo was a rousing success! 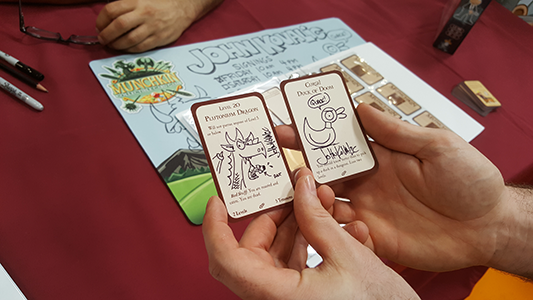 So many gamers came by to get a taste of the Munchkin Collectible Card Game and walked away with the game and some of our new promos. Not only that, some even got a signature from John Kovalic! 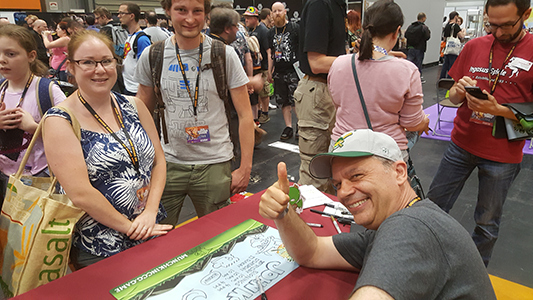 Special thanks to John, who had two signings a day (including his bonus signing on Sunday), not only signing, but drawing sketches for so many fans. Our outstanding retail partners at Eclectic Games provided our booth space, sold SJ Games merchandise, and also taught the game when needed. We couldn't have done any of this without them, so thank you all for that. The show itself was an amazing experience. From everyone I talked to, it was bigger than ever and continuing to grow every year, and the energy was unmatched. Gamers everywhere having a blast actually getting to play games, tons of hot new and upcoming games being sold and demoed, and a top-notch venue with lots of great food options. Thanks to everyone who made this an unforgettable experience! This was my first time in the U.K., and everyone helped us feel at home. The food was great, the people were amazing, and this may be one of my all-time favorite conventions. Next time, I just need to not get sick, and it will be perfect! 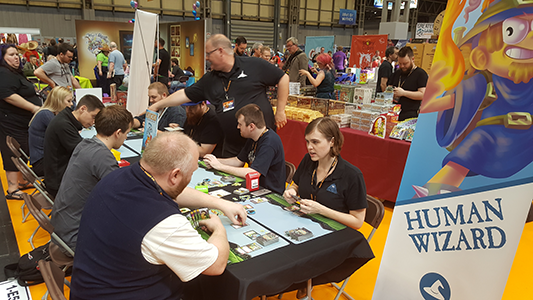 Hopefully we can see you at a future UKGE!